I Have a Hornets Nest.. Help! 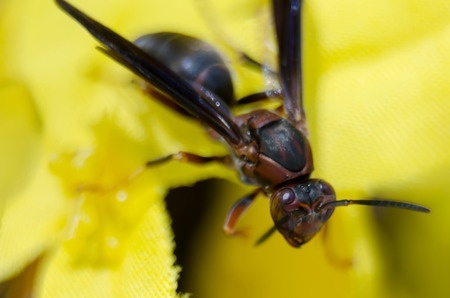 | Hornet Control Tips at Any Pest Inc. Although they aren’t aggressive, hornets aren’t pleasant to have in or near the home. Their colonies tend to be quite large, so you will have to contend with large swarms of them. 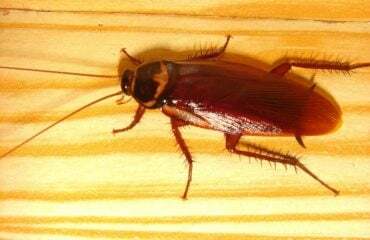 Even if you logically know that they’re not aggressive, these bugs are still very intimidating. Hornets’ aerial nests can be absolutely enormous. It’s pretty startling to discover one on or near your home. Knowing that there are hundreds of hornets teeming inside one of these gray, paper-like objects is also pretty creepy. Hornets typically only attack when their nests are threatened. You don’t have to deliberately mess with one of these nests to put yourself in danger. People sometimes accidentally upset a nest. Young children may be unaware of the danger and might try to play with one too. If you’ve seen hornets or hornets’ nests on your home or around your property, call a pest control provider. 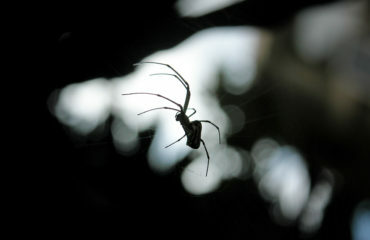 An exterminator will assess the problem and come up with an effective solution. Attempting to eradicate hornets on your own can be really risky. Once they’re a problem, it’s better to let pest control experts handle it for you. If you know how to get rid of hornets though, you can work to keep them out of your home. The biggest contributing factor to most hornet infestations is easy access to high-protein foods. People sometimes leave their pets’ food bowls outside, for instance, or leave food scraps around the property. Keep your pets’ food indoors. Empty trash cans regularly. Make sure they are completely sealed. Hornets are attracted to open, filthy garbage cans. Periodically clean your garbage cans to minimize the risk of attracting hornets. Doing so will eliminate the risk of inhaling potentially hazardous sprays and fumes. Talented pest control experts know how to get rid of hornets without resorting to dangerous materials. A talented exterminator will carefully assess your hornet problem. With the information he gathers, he will work to select the proper strategy. There are many ways to get rid of hornets, so it helps to have an experienced professional doing the work. Getting rid of hornets is one part of an exterminator’s job. Keeping them away in the future is another. Prevention is a crucial part of effective extermination, and that’s what you’ll get by hiring the right company. Don’t wait around for your hornet problem to go away. Have a look at our website for more information.